Your water heater is one of the most relied upon mechanisms in your home. Often it’s at the most inconvenient times, mid-shower or when you are ready to do laundry, that you tend to experience a breakdown. We all take our water heater for granted until it’s not working. Then it quickly becomes an emergency. We at First Class Heating & Air understand and are on call 24/7 for all water heater repairs.We will send one of our skilled technicians out to diagnose your problem and make the most cost effective recommendations. We take your satisfaction very seriously and strive for your happiness with any repairs we make. The most common sign that your water heater needs repair is the obvious: lack of hot water when you need it. This can be caused by a number of things, including the thermostat, thinning of the insulation inside the tank or sediment that is blocking a heat transfer. But there are other signs to look for as well. If your water is discolored or rusty or has an odor, you are hearing strange noises from the unit or you have found leaking at the base of the water heater, it’s time to call for assistance. At First Class Heating & Air, our trained technicians will make a thorough inspection and offer the most cost effective water heater repair solution to the problem. As with any heating or cooling system in your home, a regularly scheduled preventive maintenance program can detect problems early and can often prevent future breakdowns. During a regular maintenance call, our professional water heater technicians will make a careful analysis of your current hot water heater to make sure it is working safely and efficiently. An older, poorly maintained water heater is an emergency waiting to happen. The lifespan of a hot water heater is typically 10 years. Once a water heater becomes older, its efficiency suffers and chances for chronic issues become more frequent. If a water heater repair is no longer a cost effective approach to remedying issues with your problem, out-dated heater, it may be time for a replacement. The experts at First Class Heating & Air will offer options for new, energy efficient models. Often, the savings on utility bills alone can make this a wise investment. Whether you need a water heater repair, a regular maintenance visit or are considering installation of a new, updated water heater, the First Class Heating & Air team is ready to serve your needs. Our expert technicians will show up promptly, equipped with all necessary tools. When you hire us, you will never be caught with a surprise bill. We will discuss all repairs and options with you before doing any work. Your peace of mind and complete satisfaction is what we strive for. Let the professionals at First Class Heating & Air be your water heater experts in the Toronto, Mississauga and Scarborough areas. 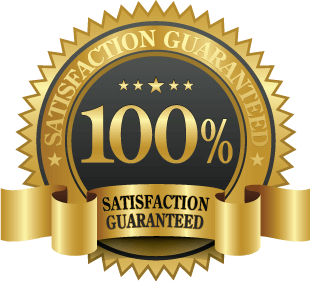 Call us the next time you need a repair and let us provide you with our guaranteed results.